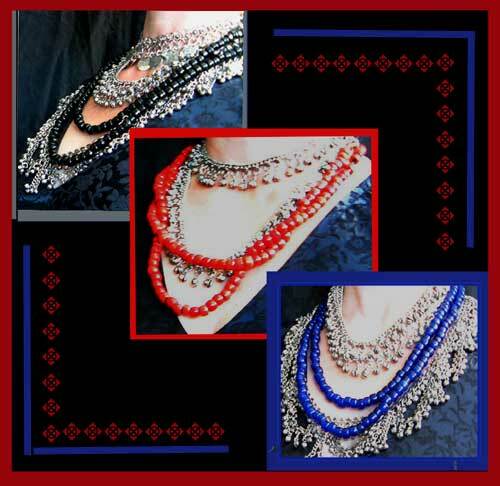 Belt, necklace, arm wrap, bracelet, belly drape, turban ornament, you name it! 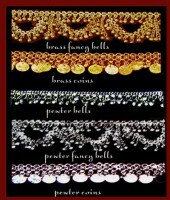 These Indian made coin belts add a delightful chime and sparkle to your every move. Worn doubled they become a necklace here worn with the the Glass Bead Necklace,or here with the Indian Kurta. Standard equipment for your Tribal Turban, or pinned to the bottom of a coin bra for a belly drape. Deconstructed they make great raw material for innumerable DYI costuming projects! I could go on, but you see what I mean- Coin belts are like safety pins, essential Tribal Costuming equipment! The styles I have selected are my favorite among the many Indian imports- simple and elegant. 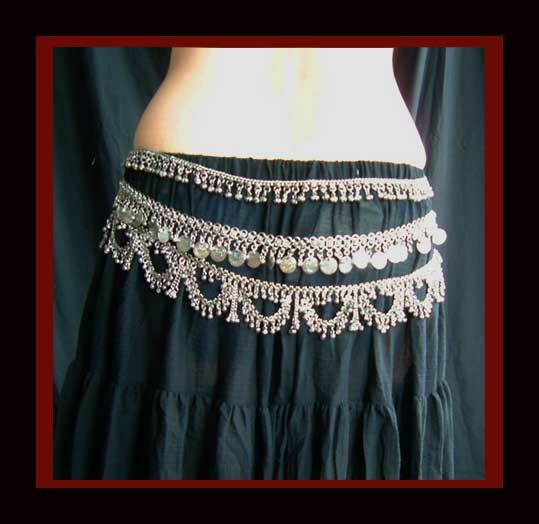 The Flying Skirts Touch?- I hand antique these belts - toning down the too shiny original white or gold metal to a mellow brass or pewter that blends well with Afghani and Banjara tribal jewelry. Sizing: One size adjusts to fit hips from 36 inches to 42 inches. 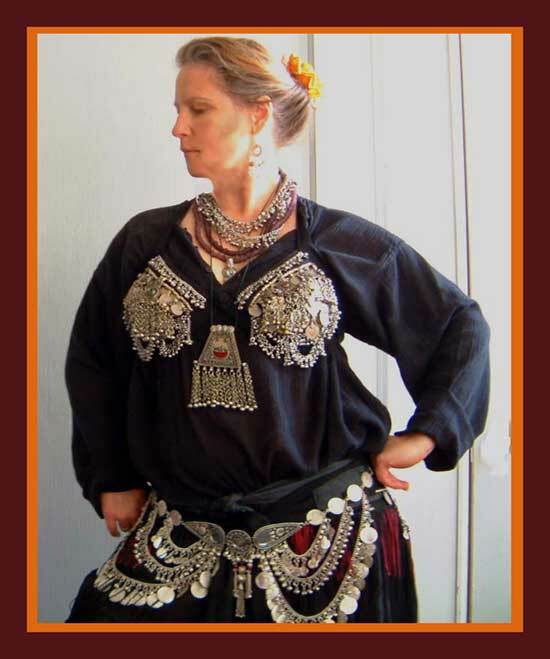 You can use safety pins to overlap for smaller hips or join two together for Goddess sizes. Typical Indian construction- needle nose pliers will come in handy for the occasional repair and for deconstruction. 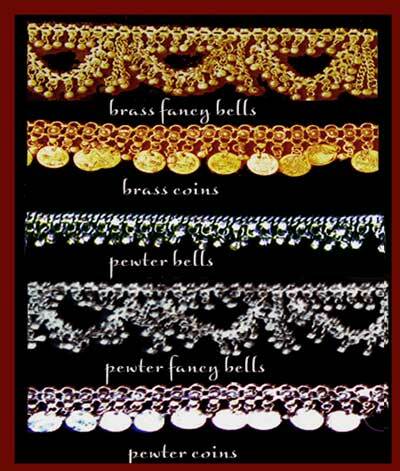 Belt Styles: choose from: pewter bells (SOLD OUT), pewter fancy bells (brass sold out), pewter coins, brass coins. In stock and ready to ship!